DigitalGlobe aims to extend the industry lead by delivering to customers the highest-value data and enabling customers with the tools to solve their most pressing geospatial problems at scale. 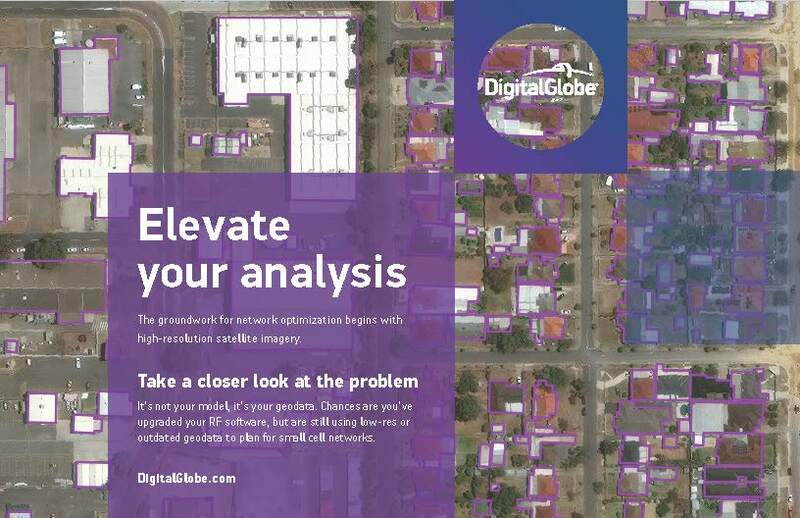 The DigitalGlobe 'Elevate' digital campaign is used to show how different industries throughout the business elevate customer's imagery needs. In a global economy such as ours, organizations across all industries need to know what, where, when and why. While it’s rooted in space technology, which may seem out of reach to many, The DigitalGlobe brings advanced geospatial capabilities down to Earth. The answers to complex questions are within reach, if only you could elevate what you need. This campaign focuses on solutions and capabilities, and the overall tone is casual and hopeful. We needed to create one visual style that could be used for four different use cases and/or industries. The four campaign messages were—elevate your insights (corporate level message), elevate your mission (defense and intelligence), elevate your service (telecommunication), elevate your planning (civil government), and elevate your analysis (business Intelligence). For the visual style we needed something simple enough that it could be implemented in small digital spaces such as social media, but also use and match the current branding. With imagery heavy visuals overall, there is a balance that needs to be struck between the legibility of the copy and the visibility of the imagery. Color overlays, cut outs for the logo treatment, and gradients have been part of the brand refresh. The boxes thus combined these elements, while drawing attention to the logo and giving attention to both the copy and the images. The boxes also reference the grid and pixel based solutions that satellite imagery offer. Each theme and industry has its own color theme from the corporate palette that complements the industry theme and other color alignment throughout the company.